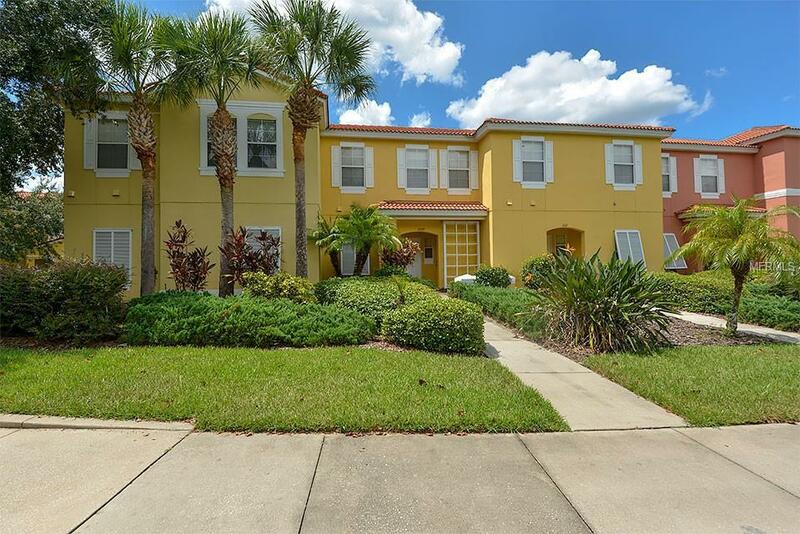 Gorgeous fully furnished mediterranean style waterfront townhome with private courtyard with pool overlooking a serene pond in a gated setting with numerous amenities near Disney and quaint local shops and eateries. An ideal vacation home with rental income or just an investment property with good cash flow. The floor plan accommodates nearly any lifestyle and the community has world class amenities which include: 2 pools, 2 hot tubs, play area, pool table, cyber cafe, restaurant and bar, fitness room, and game room. It's your little slice of paradise. Hurry!